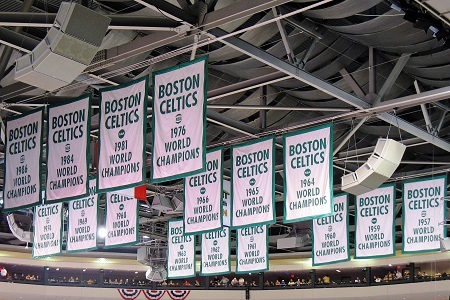 A Short History of the Boston Celtics Banners that symbolize basketball excellence. This article describes the evolution of the famous flags – and sets the record straight about the chronology of the franchise’s retired numbers. Note: This article was written in 2015. Since then, the Celtics retired Paul Pierce’s #34 on February 11, 2018.